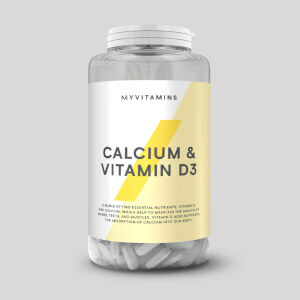 Let me start by saying these Vitamin D3 Capsules have made a huge improvement to my health and well-being but they could be better now that I am a lot more educated on the whole Vitamin D thing. 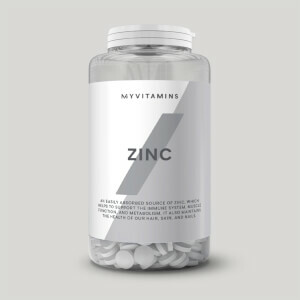 I had stopped taking any kind of vitamins & minerals on a regular basis for around 5 years. Then as time went by I was feeling more and more tired all the time, with barely the energy to get out of bed. So I ordered a bunch of things from MyProtein including these exact same Capsules in the larger 360 Capsule size. At first I was only taking 1 capsule a day but as time went on I started studying up about Vitamin D3 and realised that 1 a day wasn't enough to get the levels of Vitamin D in my blood to get higher very quickly. 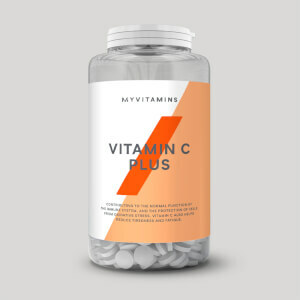 1mg of Vitamin D is 40,000 IU, This product is only 2,500 IU so it's actually a small amount of Vitamin D in each capsule. In the height of summer you could make around 10,000 IU of Vitamin D standing outside in the sun in under 30 minutes if you have fair skin, but much longer if you have dark skin or are over weight or elderly. So once you put everything into context of what we get from nature 2,500 IU is not enough to see noticeable changes. It was only when I started taking multiple capsules to make a total of between 5,000 IU to 20,000 IU per day at once I saw positive benefits after about 2 weeks. At this dosage the tiredness I'd been feeling for weeks went away, the brain fog I had lifted, aches and pains I had lessened and most noticeably the pain in my right hand from using the computer mouse for too many hours per day started to lift. I also noticed I was less bothered by other people's behaviour then normal and felt a lot more calmness. But it means to reach this level of 5,000 IU to 20,000 IU I needed to take 2 to 8 of these a day. Also I discovered you need something called Vitamin K2 to get the most out of Vitamin D3 - so I had to order that separately from another website. So although this is a great product that comes with Olive Oil in the capsule - it would have been better if the dosage of Vitamin D3 was higher - say 5,000 IU or even 10,000 IU. Again to put it into context you can get other brands that go up to 20,000 IU and even 50,000 IU and if you want to take in higher dosages then those other brands become a lot cheaper. Also from my research into Vitamin D3 they've done studies on women that were breast feeding and they needed to give the women at least 6,000 IU a day of Vitamin D3 before they could detect the Vitamin D in their milk. So this should give people a much better understanding of the amount required in nature. So even though these capsules do a great job and are good quality I'm already looking at buying a different brand simply because these are too small a dosage for the health benefits I want to attain. If My protein made a much higher dosage version I'm sure I'd stick with the brand. My vitamin d was measured at 52 (winter minimum in uk is 50, summer minimum is 70) by GP blood test in September 2016. I took just 1 of these per day for 11 weeks before a re-test and had a level of 142. I lost a few kg of fat at the same time so ingested vitamin d will have been more effective, but this is obviously a useful dose. 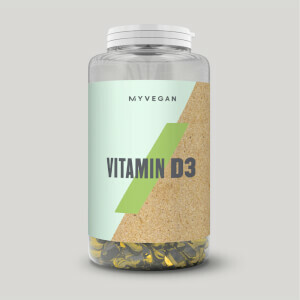 It was hard to find vitamin D3 with oil base (it is best used with oil base cause vitamin D dissolves in oils) and fortunately Myprotein have it! Also, I was pleased with price (anywhere else it was much more expensive) and I would recommend this product to anyone especially during autumn and winter seasons. I feel that my mood was always better than before and my skin looks better! Capsules are small and easy to swallow. Definitely high quality product! Great product, easy to swallow & good price. I tend to use these off now on throughout the year., but I find them extra useful in autumn & winter. Good product, but everyone else is using the dark colored bottle for the products to avoid the lights and heat. why use a clear bottle? My D3 levels are good after years of taking this, so it probably does its job. Such a tiny tablet! Very easy to swallow. My psoriasis has been a lot better and I haven't been sick in ages. I think Vitamin D is one of the most under appreciated supplements - especially for strength training. Really notice the difference using this over the winter months. Nice and easy to take, smallest pill I've ever had from MyProtein. Takes nothing to add it to my daily stack of fish oil, multivit and glucosamine. Small capsules, very easy to swallow. Works well for skin if you have psoriasis like me. Will definetly buy again, atm i take one a day and it works very well, my skin is getting better and that's all i really wanted.